Everyone can appreciate a sparkling smile, so we’re here to help. Many patients ask us what whitening options we recommend and what we offer, so here is our list! If you need help choosing the best option for you, schedule an appointment or ask us at your next visit! WHITENING STRIPS FROM THE STORE: ready-made strips with different strengths of whitening gel, usually ranging from 10%-14% Hydrogen Peroxide. 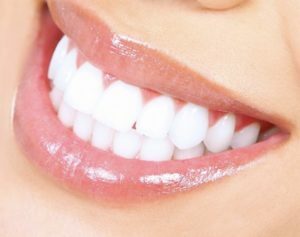 CUSTOM IN-OFFICE WHITENING TRAYS ($250): trays designed to fit custom to your teeth, worn at home with options of 16% gel or 35% gel Carbamide Peroxide. IN-OFFICE BOOST WHITENING WITH CUSTOM TRAYS ($500): 2 applications of 40% gel applied by one of our team members in the office, with custom trays to take home. Before you whiten, make sure you choose what will work best for you. If you are in a time crunch and don’t want to wear trays daily, try the in-office treatment. Have some time and want to see what results you can get while saving money, maybe try the strips from the store first. If you have tried these and can’t keep them on your teeth or don’t like the results, let us make you custom trays!